When you write a content for your posts it is very important to understand what people are searching for online and what are some of the most popular keywords are being keyed in to the search engine. Targeting keywords in your posts helps directly SEO optimization which essentially leads to top rankings in Google and gets you Free traffic. Many people do not understand the power of keywords and simply write good content which doesn’t earn top spots in Google rankings. Another problem people have is which keywords to target and how to address competition especially when you have brand new website. 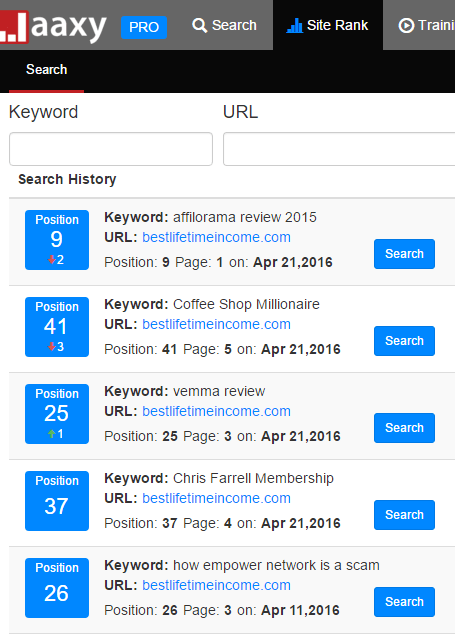 In order to research keywords and analyze their popularity you would need to use a keyword research tool. There are many keyword research tools online but the one that really stands out is Jaaxy. 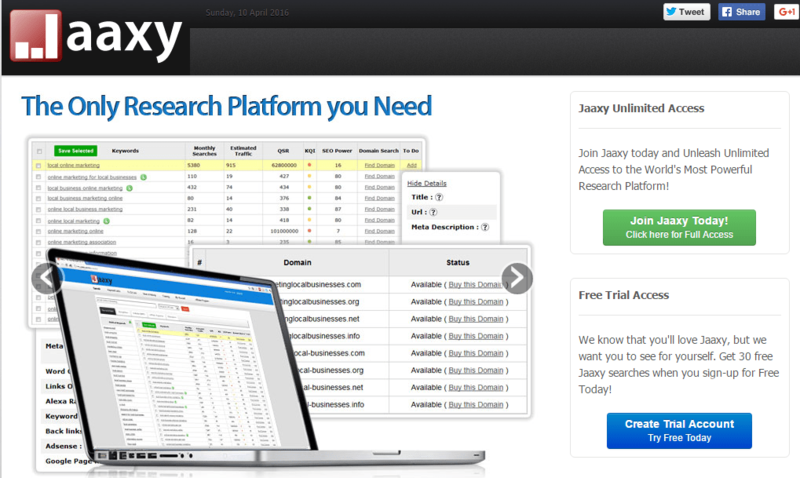 Jaaxy is one of the top keyword research tools. First thing comes in mind when describing Jaaxy is – simplicity and accuracy. Jaaxy is your guide on which keywords to use in your blogs and it’s also a good tool to always monitor how your website ranks for any given keyword. Based on this you can see if I use keyword: Uber vs Lyft – there are too many competing sites. However if I use keyword: driving uber vs lyft – there are on average 157 searches per month, however only 1 competing site. This what you should be targeting to rank your newly built website in search engines. Don’t immediately try to pick keywords with high competition, it will take very long time for organic searches to move your website to the top. Jaaxy gives you an option to always monitor where does your website stand in Google for any particular keyword. You can run a search on various keywords and see if your position in search engine improved or not. As you can see Jaaxy is a very handy tool which is crucial to have when you want to write powerful content which converts and helps you gain organic traffic. Not only you get more ideas as to what people are searching online for but also how to position yourself against all other competing sites. Jaaxy comes with a FREE account which gives you 30 Free searches to really see it in action. You will absolutely fall in love with it as this is what you need to write strong powerful articles. Don’t get me wrong you simply can’t be successful without knowing what people are searching for online. Jaaxy is your eyes and ears to tell you where the traffic is. 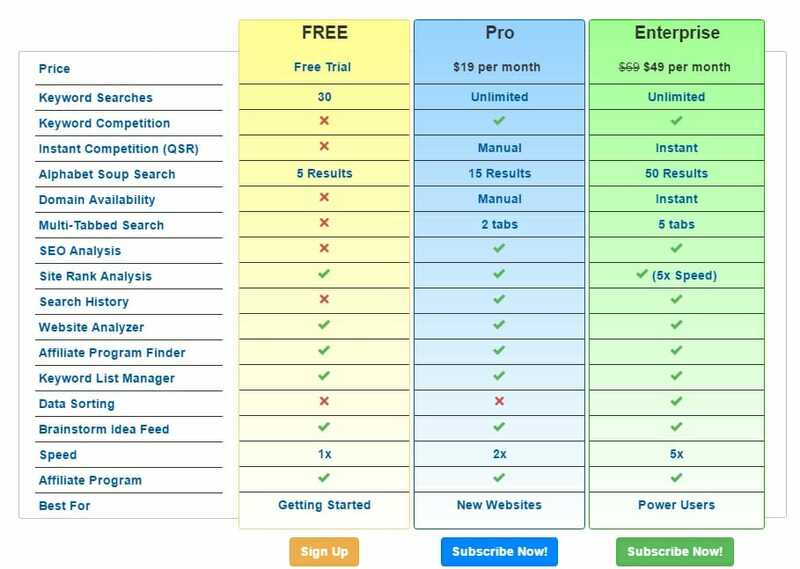 The next plan is Pro which has unlimited searches. I currently use this plan and it works very well for me. There is also Enterprise level for more experienced professional bloggers who need to perform concurrent searches and need even deeper analysis of keywords.